"I would highly recommend Mark for any job that involves individual motivation, leadership, training, organizing, planning, and communicating with others." "Mark Aughenbaugh installed a new roof on our home ... in June 2006. We have been completely satisfied with the work done and would recommend him to others who are contemplating having similar work done by him." "I feel compelled to voluntarily commend Mark's quality workmanship as well as his honest, industrious, and conscientious efforts. He doesn't know the meaning of stalling on the job. Having been a retail floor covering dealer for fifty-one years, I have been in a position to assess the qualities of many employees and on a scale of 1 to 10, Mark rates a positive 10." 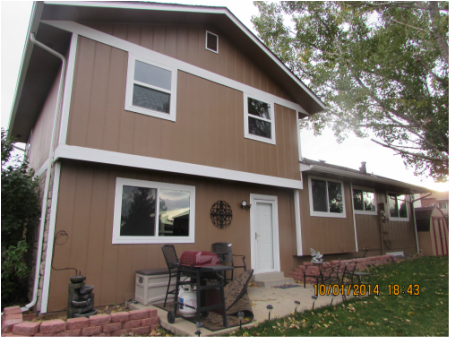 "Mark was a framing contractor (under our homeowner's permit) on an addition to our home. He did the work in a professional and timely manner. We are very pleased with the outcome and his work was superior quality. I would highly recommend him and choose him again because of the excellent work that he did." "I want to thank Mark and his crew for a job well done! He and his crew were well organized and always cleaned up at the end of the day. His crew worked continuously with no long breaks, loud radios or cell phone conversations. Thank you for a beautiful bathroom and a very nice experience!" "...Mark possesses the ultimate "can do" attitude while taking on all task with a positive energy and attitude. His positive and problem solving personality and engaging personal style enables him to interact effectively with clients and coworkers. Mark is very organized and keeps track of the details necessary to coordinate complex construction jobs..."
"As a residential and commercial designer I have had the opportunity to view the work of many tradesmen. Mark Aughenbaugh has done a multitude of jobs for me on my own home and has demonstrated a high level of skill in the areas of finish, carpentry, and framing. He also has a good working knowledge of electric, plumbing, and tile setting. Mark has always proved to be trustworthy and cost-conscious." "...Mark possesses the ultimate "can do" attitude while taking on all task with a positive energy and attitude. His positive and problem solving personality and engaging personal style enables him to interact effectively with clients and coworkers. Mark is very organized and keeps track of the details necessary to coordinate complex construction jobs..."
​﻿"This is a letter of recommendation for the use of Mark Aughenbaugh as a residential contractor. 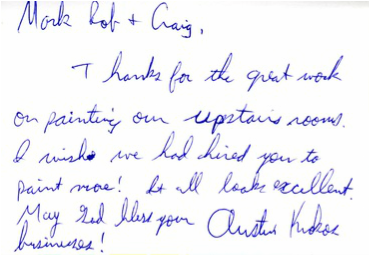 I have had the pleasure of doing business with Mark with the recent finishing of my basement in the summer of 2003. Mark was very helpful with design input when given the desired use for a space. We are very pleased with the finished product that was delivered by Mark. We now have two additional bedrooms, a full bath, an exercise room, a fifties style soda fountain/bar and a media room/home theater. He used the utmost care and respect for the existing living areas of the home while completing his work in a professional and timely manner. We had a general idea of what we wanted. However, Mark made suggestions and improvements regarding the actual livability of the space being finished. 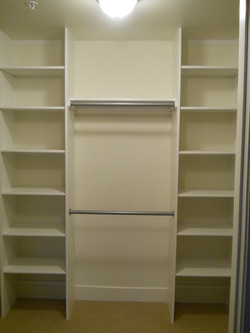 He added useful storage, a closet exclusively for family games, and art niches. He also used finishing touches that mirrored the home builders' overall design. For example, he added an arch over the media center that blended with the arch on the main level. He addressed the items many of us do not necessarily consider when we are designing our basement. Specifically, lighting, electrical, and heating & air-conditioning were addressed initially, before any work was done. We found Mark to be very competitive in the marketplace. We also appreciated his creativity and honesty. We would highly recommend Mark for any project you may be considering. Our family has thoroughly enjoyed the added living space to our home."